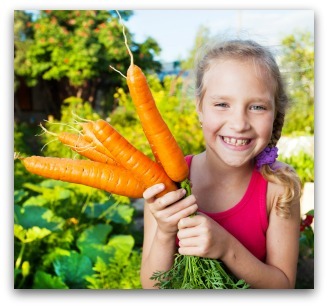 Small vegetable garden plans are a great project for the whole family to enjoy. Your family can save money, learn new skills, and eat better food all at the same time! Growing your favorite vegetables such as lettuce, tomatoes, onions, carrots, cucumbers and more, can be easily accomplished by planting a small vegetable garden. These vegetable gardening tips will help you get started on what can become a life-long source of self-sufficiency and pleasure. 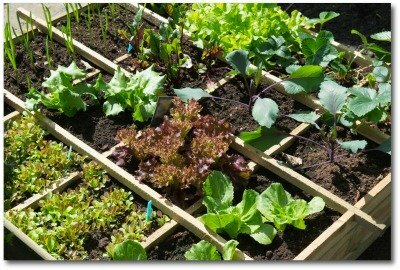 For beginner's small vegetable garden plans, it is important to keep it simple! Starting with one of the simple garden plans below will help ensure success in your first gardening venture. Always choose a sunny location near a source of water for your your garden location! Container Gardens are Fun and Easy! Container gardens are a great way to organize simple and easy small vegetable garden plans. 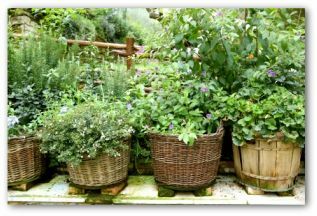 Container gardens can be grown on a porch, balcony, deck, front porch, or in a flower bed or back yard. Simply fill some small, medium and large containers with potting soil, plant vegetable seeds or small plants following the planting instructions on the labels. Place the pots in a sunny location, add water, and watch your plants sprout and grow! 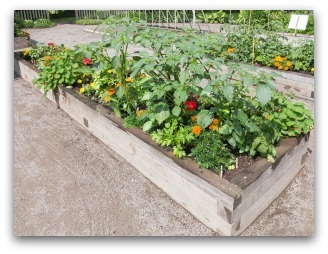 Raised bed vegetable gardens are also an efficient and easy way to plan a small garden. Designing and building a raised bed is a great weekend project for the whole family. Select a sunny location in the yard or on your patio, and layout the garden running north to south if possible. Build the frame for your garden from wood, brick or cement building stones. Your raised bed garden can be any length you want, but the width should be no more than four feet. That way you can reach the center of the garden from either side, and won't have to walk in your garden. 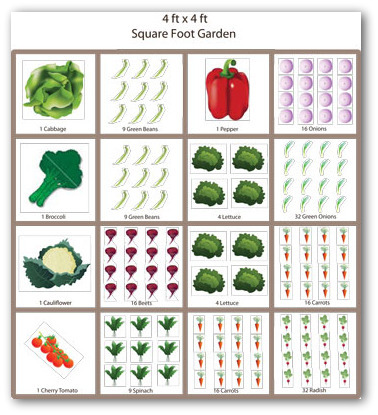 Another great design for a small family vegetable garden plan is the square foot garden. 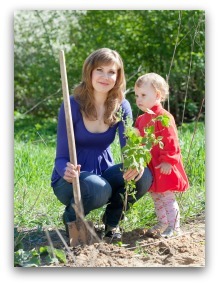 Building a square foot garden in a sunny location, is good little project that can involve the whole family. You will need two four foot lengths of 2 x 4 or 2 x 6 lumber, and two 4' 3" lengths for each square foot garden you want to build. Nail the boards together to form a 4' square. Divide the square into sixteen equal sections using string or strips of wood as dividers. Fill your garden with potting soil, and plant each square following spacing instructions on the seed packets or small plants you have purchased. This Little Helper Loves to Water! 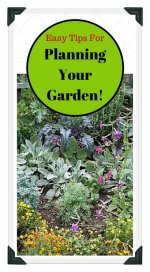 Let’s start with some pointers to turn small vegetable garden plans into an enjoyable chore for everyone involved; including the vegetables! You do not want the kids messing about with harmful chemicals so keep the garden a chemical free zone. There are many organic pesticides available. Children love to mix up different substances, so you could put them to work mixing a natural bug repellent. 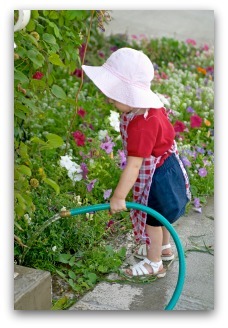 They are also handy at spraying things, and this ability makes them a good candidate for watering the garden! 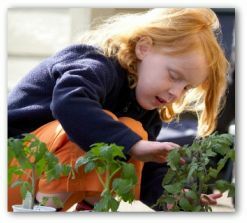 Teach your children to garden and they will grow up with a valuable life-skill and healthy habit that will last a life-time! Keeping children occupied especially when school is out for the summer, by vegetable gardening, helps put them on the right path for life. 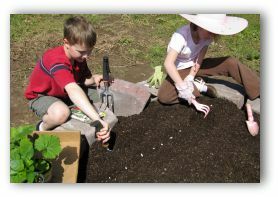 Let young kids help you by growing vegetables in the larger plot or let them choose a small vegetable garden plan of their own. How many times do you hear throughout the summer from youngsters, “I’m bored!”? Giving them some responsibility and structure helps keep them from boredom and trouble. Build genuine self-esteem in your children by teaching them step-by-step how to plan, plant and care for a small vegetable garden. Kids get a sense of accomplishment out of a job well done just as adults do. Small Vegetable Gardens Can Produce Large Carrots! 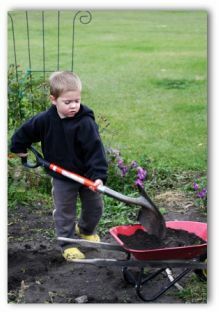 Children do love to dig in the dirt so plans for making a small vegetable garden will be a short order for the tiny tykes. Start with the easiest vegetables to grow such as tomatoes and peppers. I have a confession to make, (since I am among friends) I still get giddy over the first lettuce, cucumber, and tomato produced each season! When the green beans begin to sprout on a warm day, I want to stay in the garden and watch them pop out of the ground! 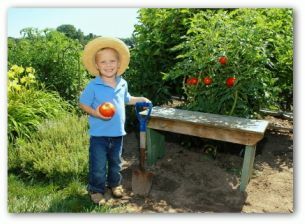 You can imagine how exciting a new crop will be to a child that helped plant and grow it. Keep in mind; young children do get bored easily. This is why maintaining a smaller sized garden works out best for all concerned parties. Starting with seeds that are known to germinate quickly or starter plants is a good idea for children who can be a tad bit impatient (and some adults,too!). Lettuce, sweet corn, and green beans are quick starter seeds. Soaking larger seeds such as beans and peas in water overnight accelerates germination. When the little ones spy their first bloom in the garden, the delight, amazement, and pride in their eyes will make up for all the frustrations they may have caused you up to this point. To a child, a beautiful flower that grows into a cucumber or squash is a remarkable sight. Make sure the young gardener gets to eat their prize vegetable! 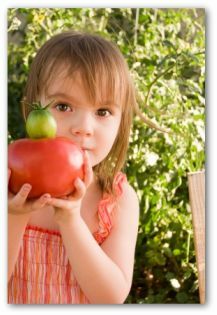 Growing a small vegetable garden with your children is a great opportunity to teach them patience. Continue to encourage them that eventually the plants will grow just as they will. Once you have instructed the children on caring for the plants, take a step back, and let them accomplish the task for themselves. Avoid the tendency to jump in and do the job for them. Relax, and let nature take its course! Plant a seed in the ground and in a child’s mind that will grow for a lifetime. Remember to make it fun so the kids do not realize they are doing work! 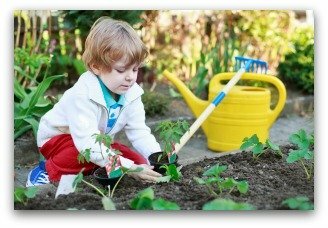 Letting your children or grandchildren help with your small vegetable garden plans is giving them a ticket to future success. The lessons they learn from vegetable gardening is knowledge they can use throughout their life and pass on to their own children someday. 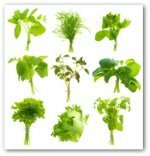 Plans for a small vegetable garden plans can be the start of a great adventure for the whole family. Raised bed, container, and square foot gardens are a simple and practical solution to many gardening situations where space is at a premium. Growing fresh corn, tomatoes, lettuce, onions and cucumbers is a good way to get started on the path to better health and good habits that will last a lifetime.